‘Iolani's "One Team" concept originated with the legendary Father Kenneth A. Bray, who was the school's football, basketball and baseball coach from 1932 to 1953. He established a tradition for modesty, sportsmanship and unity in athletics that was carried on by Edward K. Hamada '46 and is still practiced today. In 2017-18, ‘Iolani sponsored 106 teams at the intermediate, junior varsity and varsity levels, which participated in more than 1,100 competitive events. Slightly less than a third of the events (363) occurred on campus. The school is a member of the Interscholastic League of Honolulu and the Hawai'i High School Athletic Association. Athletic participation has been consistently high at ‘Iolani. 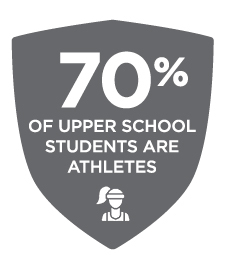 During the 2017-18 school year, 72 percent of Upper School students (986) participated in at least one sport, and 40 percent participated in more than one. Participation was 78 percent among boys (538) and 65 percent among girls (448). When all the one, two, three and four-sport athletes are counted for every sport in which they participated at the intermediate, junior varsity and varsity levels, ‘Iolani sponsored the competition of 1,695 athletes during the 2017-18 school year. Dedicated coaches make the athletic experience a time of learning and growth for all students.